What better reason for trying an exciting new recipe than a visit from lovely family? None. My wonderful Mum and her wonderful fella John made a Sunday day trip to see me in London this weekend, which was an absolute joy. John – a self-confessed foodie – had never experienced the modern day marvel that is Whole Foods so I took them for a jaunt along High Street Kensington to have a mooch around one of my favourite shops of all time. He was like a kid in a sweet shop, which was a joy to behold! 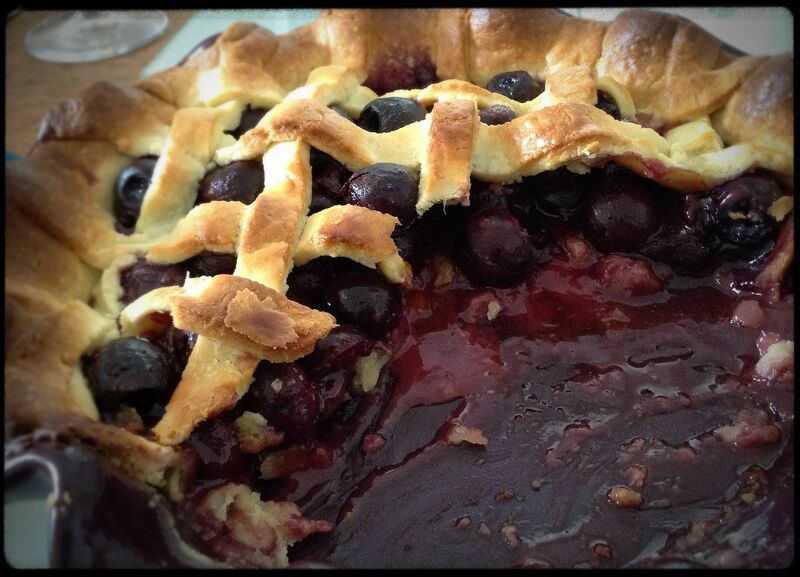 Bewitched, bewildered and billed, we walked back to my house for a feast of duck with baked honey-balsamic figs, sautéed potatoes and fine beans, followed by home-made cherry pie. 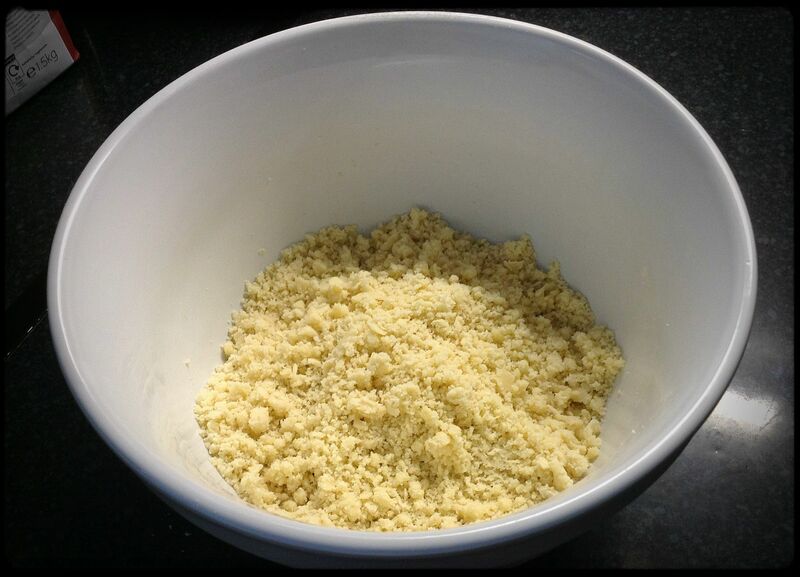 Sieve the flour and icing sugar into a bowl, add the butter and rub in with your fingertips until it becomes a sandy consistency. Add the egg yolks and water, mix up to a soft paste then wrap well and chill for at least 30 minutes. Pit the cherries. If you’re brave and have plenty of time on your hands, do it manually. 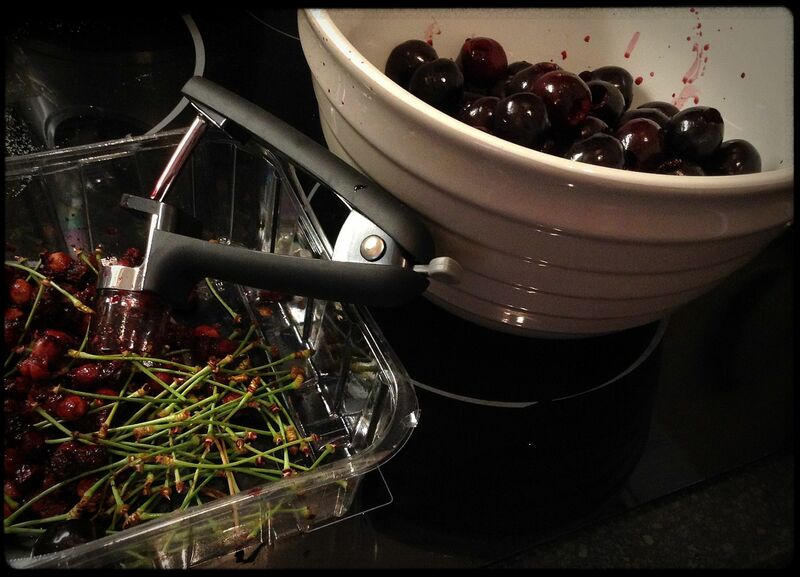 If you’re sufficiently lazy to buy yourself a cherry pitter (*raises hand*) it’ll take you about 10 minutes. BE WARNED: however you choose to do it, wear an apron over a short-sleeved top and be prepared for your kitchen to look like a crime scene and your hands to look like prime suspects. Those juicy little beauties splash. 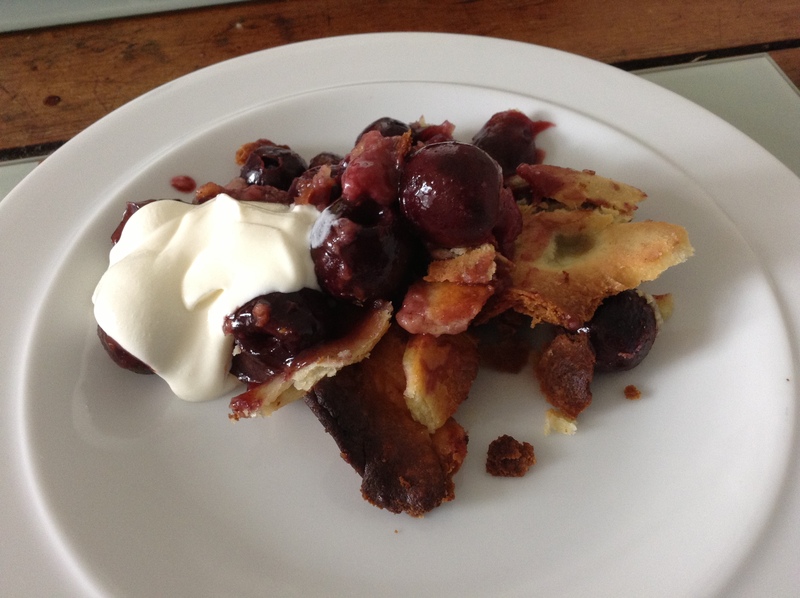 Throw your pitted cherries in a big bowl and scatter over the sugar, lemon zest and juice, vanilla, spices and cornflour. 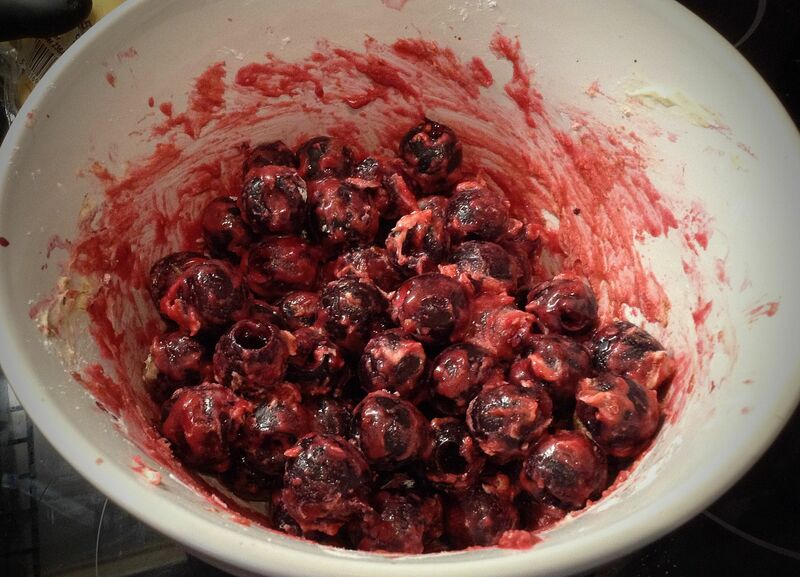 Stir through thoroughly, cover and refrigerate for at least an hour to allow the cherries to macerate. 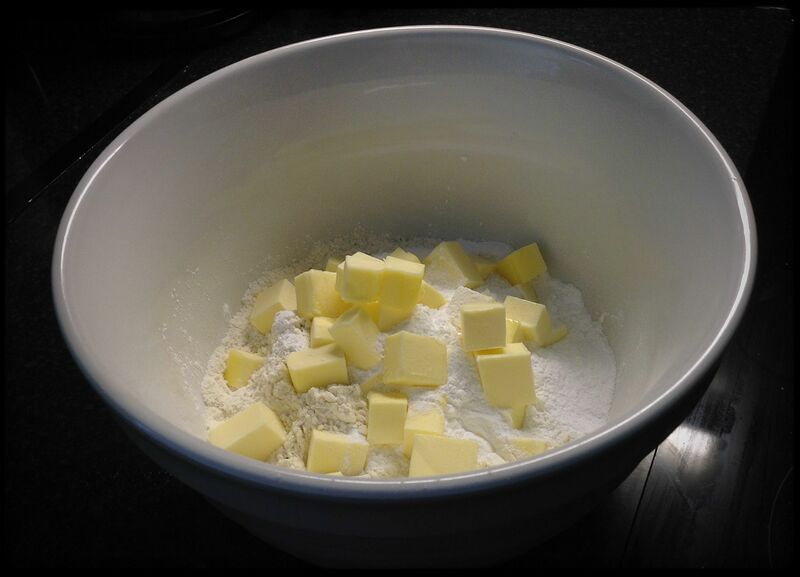 Butter and flour your pie dish. 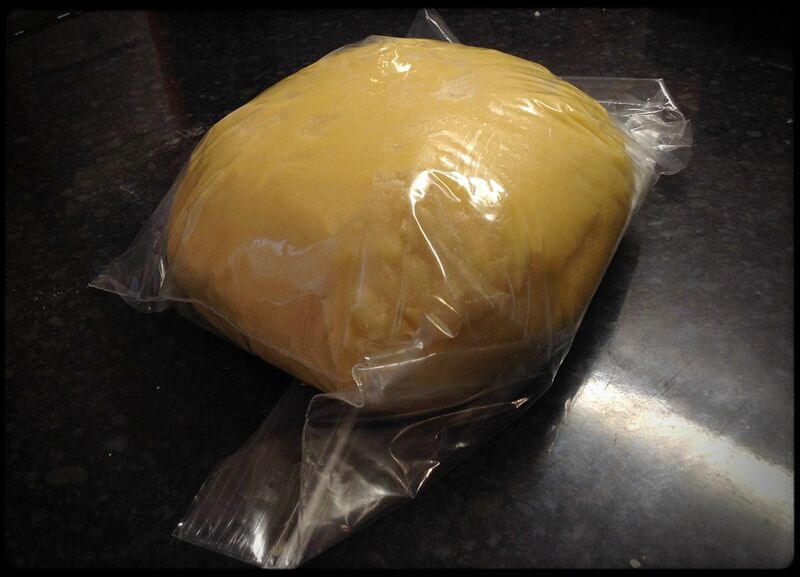 Halve your pastry and roll out one half between two sheets of cling film. 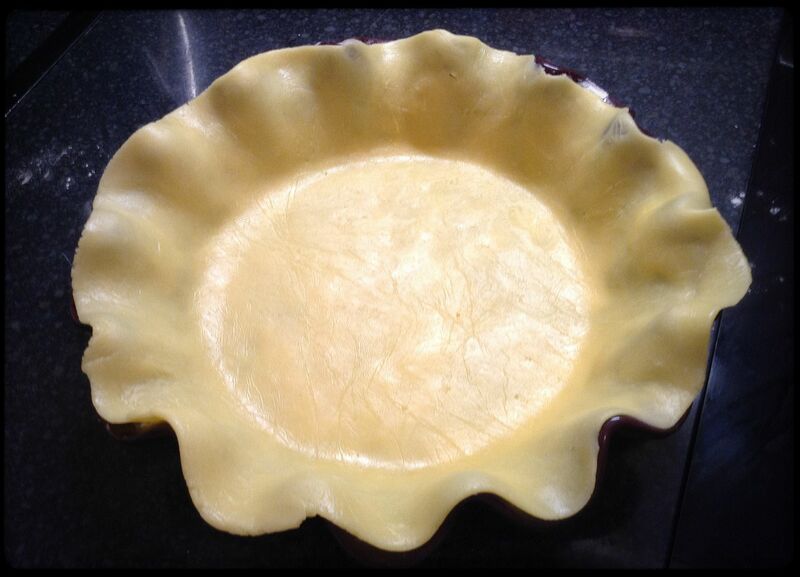 Peel the top sheet off and use the other to move the pastry to the pie dish. The pastry will be fragile so be careful not to manipulate it too much. 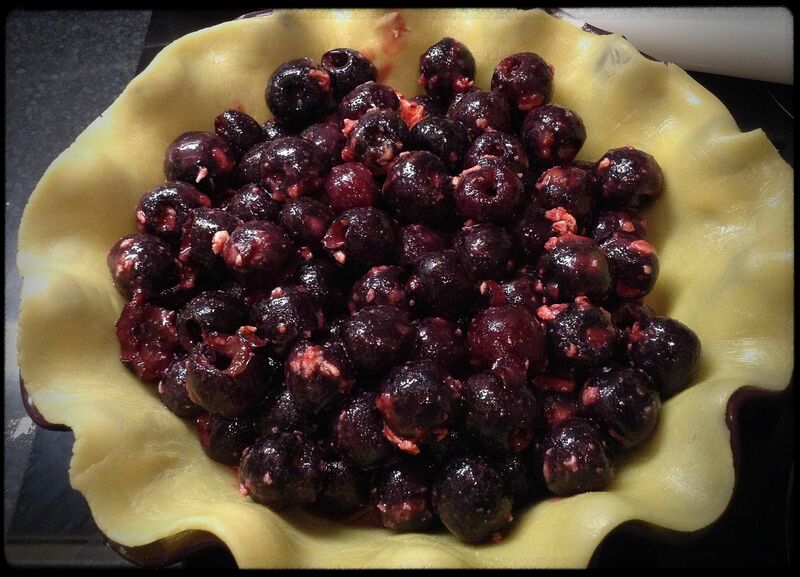 Give the cherry mixture a good stir, then tip the lot into the pie dish. 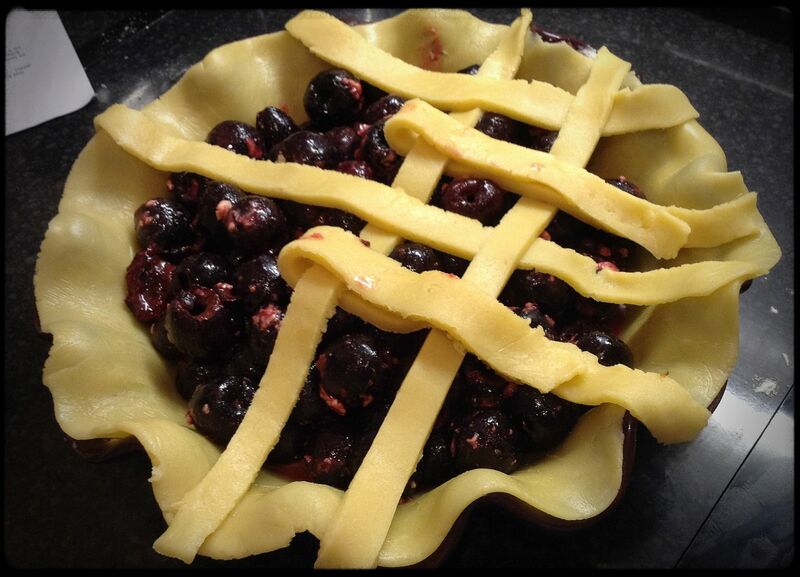 Roll out the second batch of pastry and cut fine strips for the lattice top. Lay the first strip across the middle, then across the middle the other way. Keep laying strips across, being careful to fold strips back when another needs to be woven underneath. 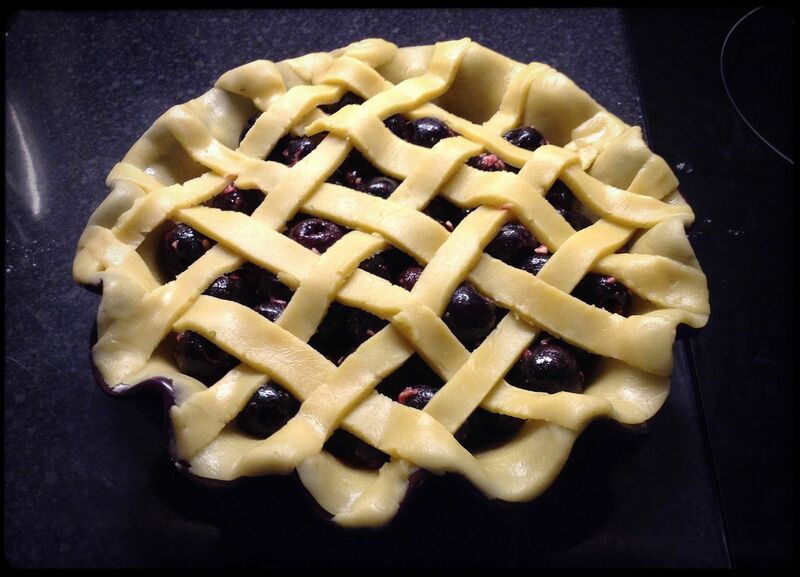 When you’ve finished weaving the lattice, smush the ends into the edges, then brush with milk and refrigerate for another 30 minutes. Preheat the oven to 200C. Bake for 15 minutes at 200C, then reduce the temperature to 160C and bake for a further 35-40 minutes or until the filling starts to bubble. If the pastry starts to brown too much, cover loosely with a sheet of foil. Serve warm, with vanilla ice cream or crème fraîche. YUM. 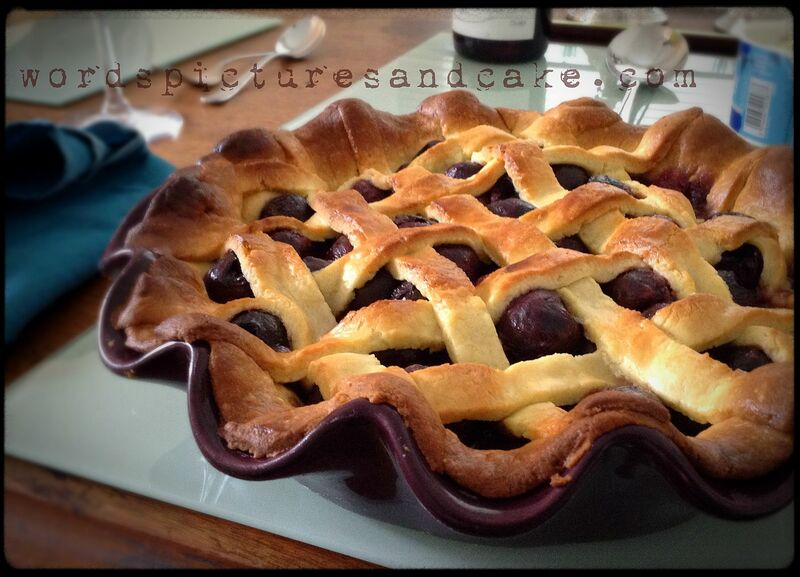 This entry was posted in Cooking & Baking and tagged cherry pie, lattice pastry, sweet pastry by wordspicturesandcake. Bookmark the permalink.